Feeding tube. 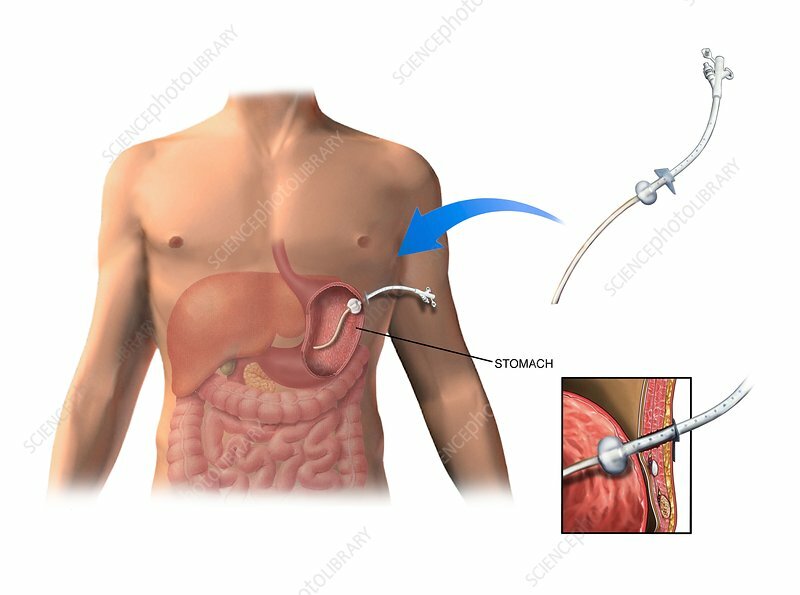 Artwork illustrating the implantation of a feeding tube in an operation known as a gastrostomy. This creates an artificial opening in the abdominal wall to allow access to the stomach. A hole is then made in the stomach wall itself to allow a feeding tube to be inserted so that nutrients can be placed directly in the stomach cavity. The inset (lower right) shows details of the insertion point. The feeding tube before insertion is at upper right.